Project management skills are essential in many jobs even if you are not a project manager as such. This course will introduce you to the basics of how to succesfully manage projects, including the importance of project charter, how to use it as well as the role of a project manager. The course will also highlight the project lifecycle steps including initiating, planning, executing,monitoring and controlling. The course will take about 50 minutes to complete. Dear Fuzu i would again like to know if you provide certificates once i complete the free courses offered. Hi Jamlicks, we are so happy and proud of you!Don't stop learning. thats great for for fresh graduates like me. Hi Korir, thank you for your kind words. Keep learning. You are largely impacting positively in my professional life. i appreciate you you for your continued plans of offering short important courses online. Wow, this so wonderful. It has encouraged me to push forward to another level. Hi Stephen, we are more than glad to be of support when it comes to growing your career. Keep pushing. 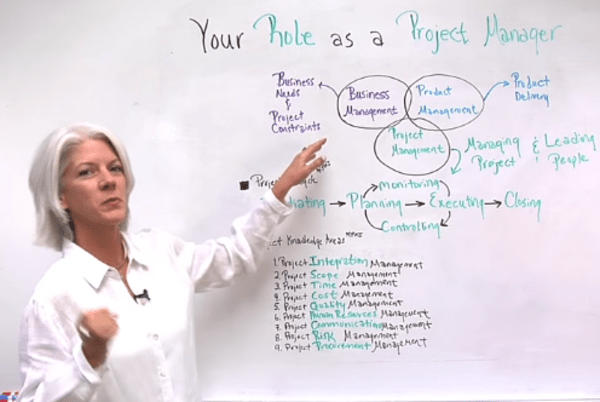 I have been a Project Manager before and these videos are truly refreshing! I can resonate with many of the videos presented here and I have refreshed my knowledge in PM. Keep it up! Thanks Fuzu, am a CPA but interested in Project management Certification. How do i go about it? Im pl teacher l need to an adegree course through this institute. May l get direction on how to go. You are great. I have diploma in project management but still want to improve my knowledge. I have diploma in project management and still interested in learning more. I need a fully sponsored course from the institution .What can I do? Iam certificate holder of General Agriculture (GA)specialist in crops and animal husbandry. I worked with Nzoia Outgrowers' company for 8years. Am capable in doing agricultural extension work with minimal supervision. Thank you for your feedback. We are in the process of making the test interface better and more informative for the user. At this point it is better to focus on the learning content itself. The videos include the right answers but often times it is not a straight-forward one. Doesn't matter if you don't get it right the first time. Repetition enforces knowledge. Sincerely Fuzu, i don't understand what answers i should give for these tests because i am doing my best, and every time I repeat them, i fail more..